Behind The Wheel — Car reviews, news, and featured stories. The term “American Muscle Car” is clearly open for interpretation. Many would argue that the latest Ford Mustang GT350 or Camaro ZL1 fit the bill. I disagree, because both of those vehicle’s roots are in the pony car era. Plus the Mustang and Camaro are seemingly becoming more and more like a traditional sports car versus a muscle car. The difference being that the muscle cars are all about raw power and acceleration at the drag strip versus road handling. 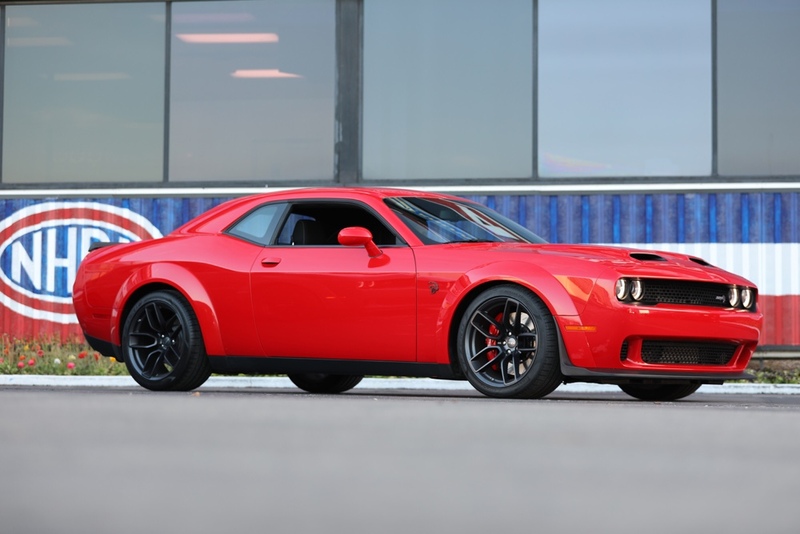 With no true competitors on the horizon, Dodge has outshined itself once again with the 2019 Dodge Challenger SRT Hellcat Redeye Widebody. It checks all of the muscle car boxes with nearly 800 horsepower and over 700 pounds of torque under the hood – 797hp if you want to be exact. It is obviously the quickest production muscle car on the planet, however its 0 to 60mph time of 3.4 seconds isn’t earth shattering when compared to today’s modern super cars. The fault lies with its rear wheel drive drivetrain versus all-wheel-drive which delivers superior traction off the line. 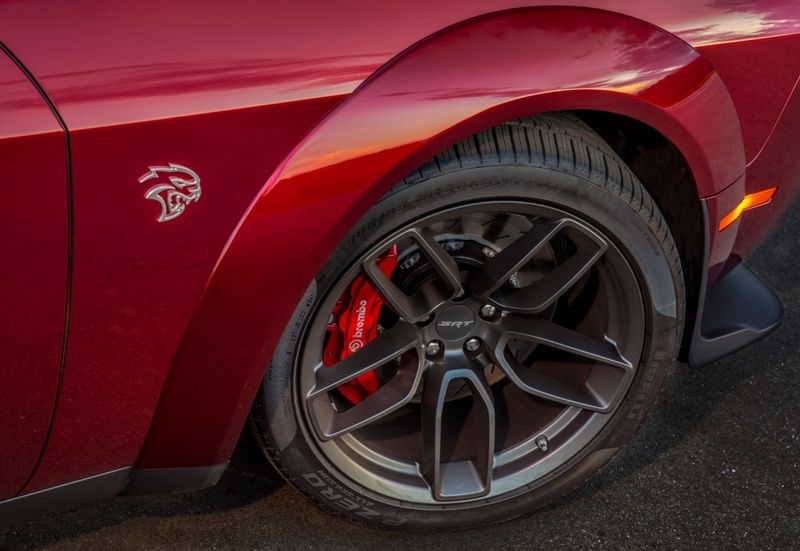 However once the rear tires begin to stick, the Hellcat Redeye rockets with a quarter-mile time of 10.8 seconds at 131 mph. But in all honesty, who wants a muscle car with rear wheel drive? How will you do burnouts? 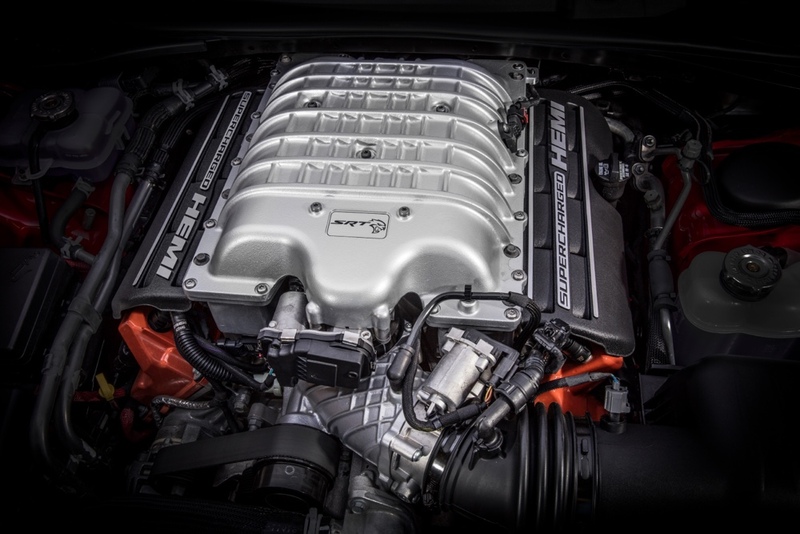 The heart of the 2019 Dodge Challenger SRT Hellcat Redeye is a supercharged 6.2L HEMI V8. It is detuned version of the Dodge Challenger Demon engine. With the primary difference (in my opinion) is that the Redeye is designed primarily for everyday use versus track use. Another thing the Hellcat Redeye has going for it over the Demon is that you can buy one today. The Dodge Challenger Demon is sadly no longer in production. This means that the Hellcat Red Eye is the start of the show! My week with the Hellcat Redeye was primarily consumed with meetings, however it also included a boys weekend at my friend’s ranch in Sebring, Florida to watch the 12 Hours of Sebring Race live. I was shocked by how many people were enamored by this car. During my road trip to Sebring, I had kids give me thumbs up while driving and adults ask me about every detail of the car as I filled up the tank at a gas station. Upon arriving at the boys weekend, I was welcomed with a slew of questions about the Hellcat Redeye by my friends. They all wanted to drive the car or at least ride in it. These are the same guys who have brand new Porsches, Audis, Jaguars, Corvettes, Mustangs, and AMG Mercedes in their garage. I gratuitously have my friends rides, with mixed reactions. Some exuberantly wanted an encore ride, while others wanted to escape the cabin in terror due to the shear magnitude of the Hellcat Redeye’s muscle car performance. Everyone was safe and no laws were broken, however a few childhood fantasies were unleashed. A muscle car certainly isn’t for everyone. They chug gasoline, are loud, and primarily built for straight line performance. Even with the wide body spec on the Challenger SRT Hellcat Redeye, you still felt the weight transfer going around a corner due to the massive engine. 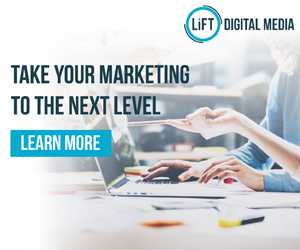 But all these factors contribute to the millions of smiles you, your family, your friends and on lookers will enjoy as you cruise around town. The problem with most electric vehicles is that the only the noteworthy thing about them is the fact that they are electric. Cars like Tesla are prime example. All three Tesla vehicles that I have tested felt cheap inside, which is crazy for a $100,000 vehicle! A car should be able to hold its own whether it is electrically charged or petrol powered. And this is where Jaguar comes into play… the iPace is a joy to drive. Behind the wheel, I kept forgetting that I was driving an electric vehicle. My senses told me that I was driving a Jaguar. A car manufactured by a brand with a racing pedigree, while also being a brand renown for their fit and finish. A brand that the Queen of England has endorsed. The Jaguar iPace in its truest form is a sports sedan. It hugs corners like a sports sedan and accelerates from 0 to 60 mph in 4.5 seconds like a sports car. It is not the fastest EV, however, it is one of the most thrilling daily drivers you can purchase. I consistently found myself “playing around” both on the highway and city streets. 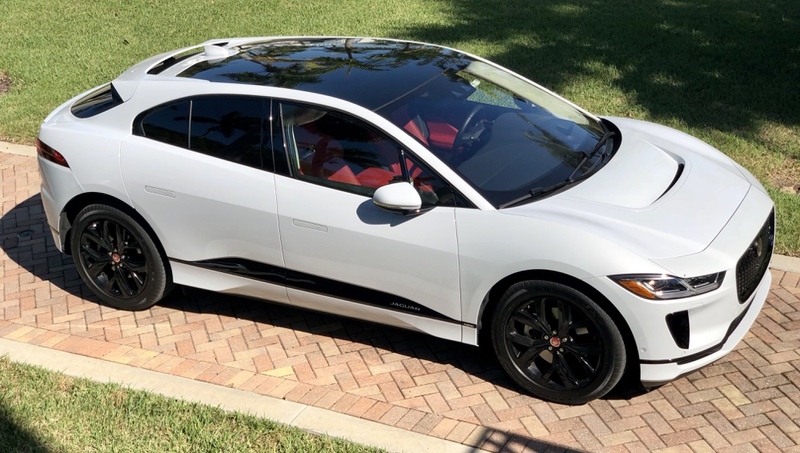 Despite is 4,702 pound weight, the Jaguar iPACE felt very agile and balanced, with only a small bit of understeer. You want understeer on this type of vehicle because it is proven to be significantly safer than oversteer in untrained hands. The steering was well sorted and crisp. It didn’t provide as much feedback as I would have liked for a Jaguar, but it also didn’t feel video game like either. At highway speeds, the Jaguar iPACE zipped along beautifully and felt very stable. Power always seemed readily available, although I noticed my battery levels exponentially decrease the faster I went. The vehicle is rated for a range 234 miles, but I felt anxiety planning for a 150 mile day trip. I made the trip but I didn’t have too much extra juice to spare. And then once I got to my destination, I had to charge the 90 kWh battery pack. It is no surprise that luxury is paramount with the Jaguar iPace. The fit and finish of each element on my prototype test vehicle exuberated English craftsmanship with fine buttery leathers. But unlike Jaguar’s of yesteryears, the iPACE felt high tech at the same time with multiple displays for systems management and entertainment. However, the displays didn’t seem cumbersome or give you the impression that you are driving a spaceship. My entire experience felt like I was in a car, a car that so happens to be powered by two magnetic electric motors. 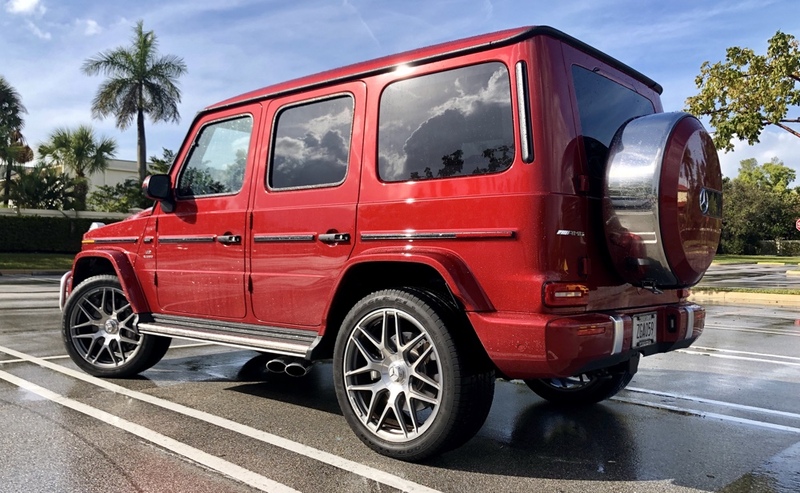 The latest edition of the G-Class looks the same on the outside, but it is actually a completely new car: The vehicle is 4 inches longer and almost 5 inches wider. This results in improved driving dynamics. 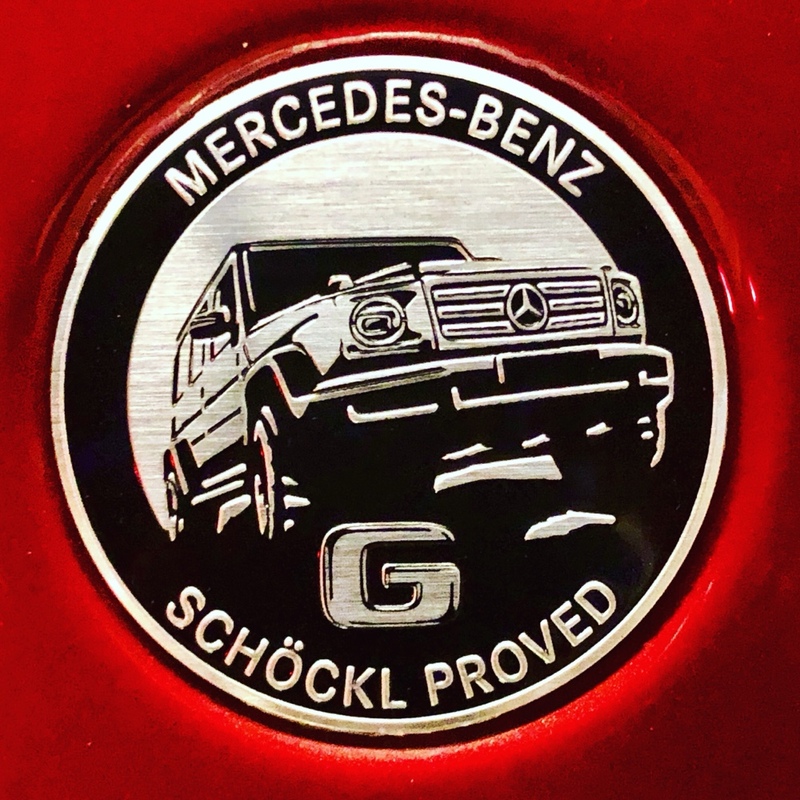 The larger stance makes the G-Wagen feels more solid at highway speeds than the previous model and it delivers less body roll when cornering. The vehicle still feels top heavy, but the perceived center of gravity has been lowered. The longer and wider stance of the Mercedes AMG G63 has also made way for a revamped interior. 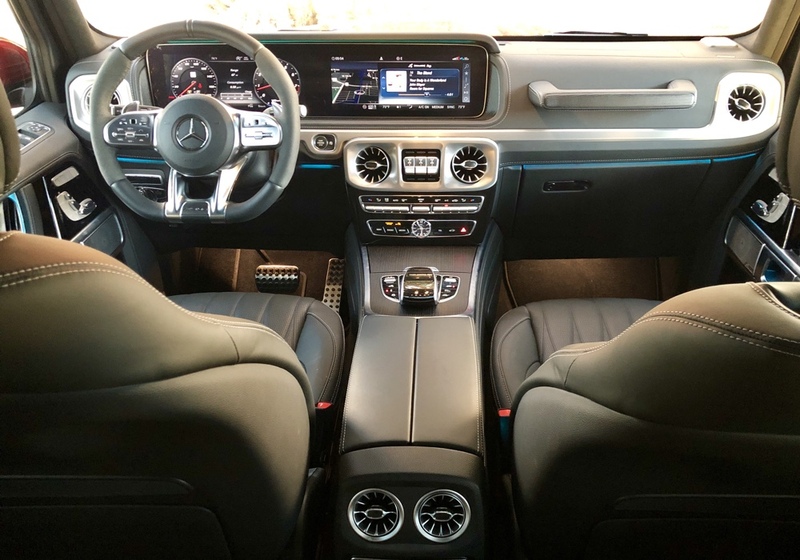 While previous generations offered an interior fitting of a $40,000 c-class, the new G-Wagen offers posh interior fit for a $100,000+ vehicle. The design screens luxury with two large displays and supple leather on the doors and dashboard. Gone are the cheap plastic components in favor of brushed aluminum and wood trim. The seats are seemingly wider and occupants are no longer cramped with bumping elbows as the front armrest is almost 3 inches wider. Backseat passengers will applaud with almost 6 inches more of rear legroom. No AMG variant Mercedes-Benz review would be complete without mentioning what’s under the hood. The G63 AMG comes with a handcrafted Bi-Turbo V8 that is good for 577 horsepower and 627 pounds of torque. 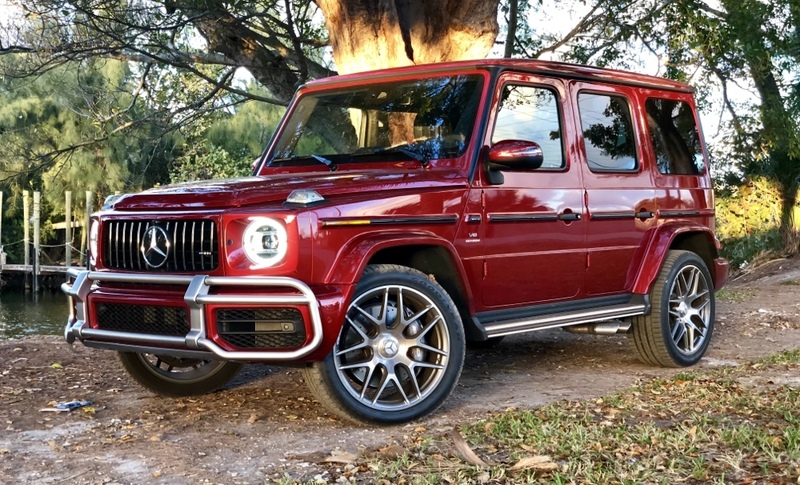 Even though the new G-Wagen weighs an undisclosed “ton,” the AMG engine rockets the vehicle from 0 to 60 mph in less than 4.5 seconds and to a top speed of 150mph. 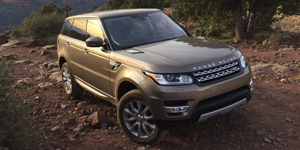 My test vehicle garnered a price tag north of a $160,000, which clearly places it in Land Rover Range Rover and Porsche Cayenne Turbo territory. Between the three: Mercedes for image and off road durability. Land Rover for luxury. Porsche for overall driving dynamics. Even wayback when the BMW i8 first debuted, it wasn’t considered a fast car by any means. It was quick for a car, but not quick for a $140k+ sports car. What kept people so intrigued was BMW’s use of a hybrid drivetrain and advanced use of carbon fiber for the body panels and chassis. Fast forward to 2019 and the performance benchmarks are still on par with five years ago. They are slightly improved, but the car still won’t win any races. What is radically new for 2019 is the Roadster variant. The drop top transforms the i8 from a high tech grand tourer into a super car wannabe. With scissor doors, intelligent lines and rear speedster humps, it is the type of vehicle your 12 year old self would hang as a poster on the bedroom wall. It reminds me of the Lamborghini Countach because just looking at the BMW i8 Roadster makes you envy…. forget the fact that you are saving the planet. Under the mid-engine hood is a twin-turbo 3-cylinder engine paired with an electric motor under the front hood. 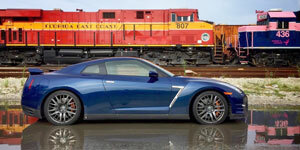 The two power plants combined deliver 369 horsepower and 420 pounds of torque. With a charged battery, the i8 Roadster will go from 0 to 60mph in 4.4 seconds. With a charged battery, the i8 Roadster will also go approximately 20 miles on pure electric and gets 76 MPGe. It takes about 3 hours to fully change the lithium ion batteries. So if your daily commute is short, the BMW i8 Roadster becomes an electric sports car that offers no range anxiety. I am happy to report that the i8 Roadster lives up to its name. With a near 50/50 weight distribution, it lives up to its name. 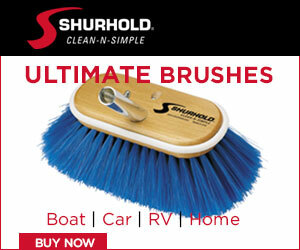 It is perfectly suited for carving canyon roads as it is your daily commute. In sport mode, the steering precise, it has great throttle response, and the i8 Roadster showed little body roll. 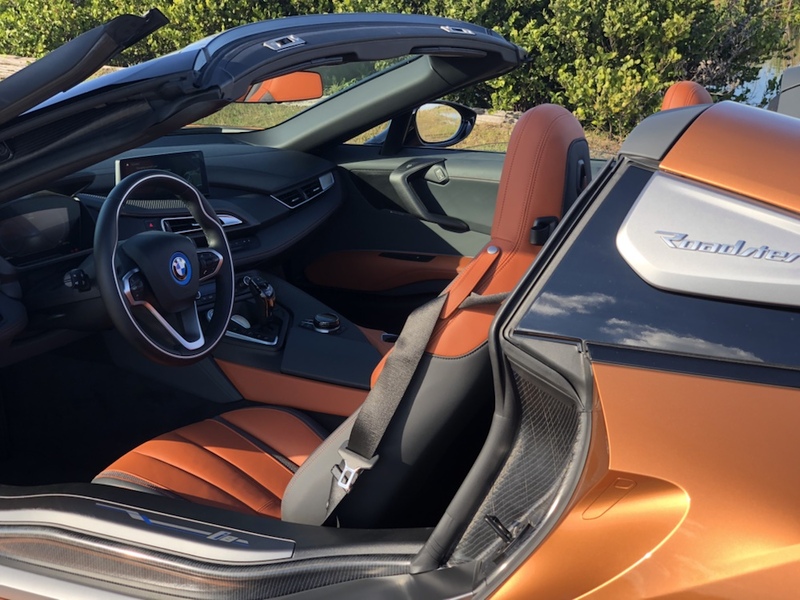 In comfort mode the BMW i8 Roadster drives like a grand tourer. 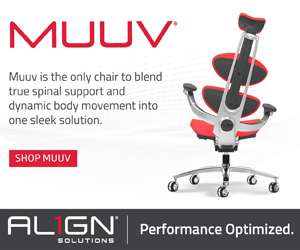 The only thing missing is adjustable lumbar support. 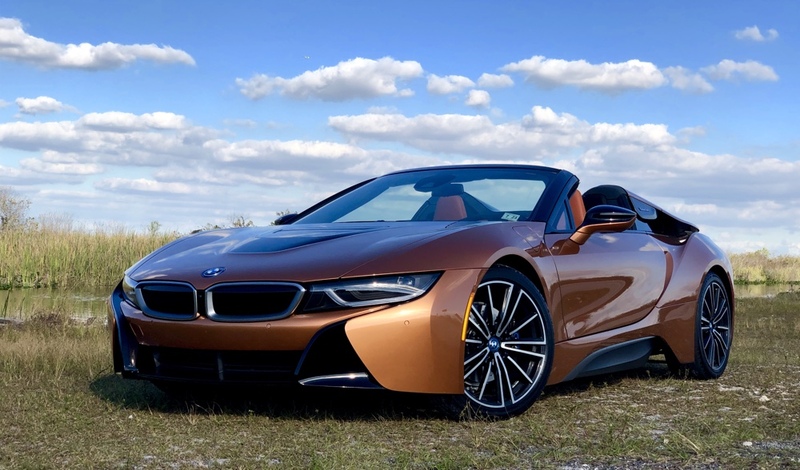 Be forewarned, the BMW i8 and the i8 Roadster are not the cars to buy if you have a bad back. Because of the wide door sills, it can be hard to get in and out of – the same thing can be said of all modern McLaren vehicles. Plus after a couple hours in the car, my back would oftentimes grow tired. But I didn’t pull over on the side of the road and stretch, or go home early… the kid inside of me was enjoying to drive too much. 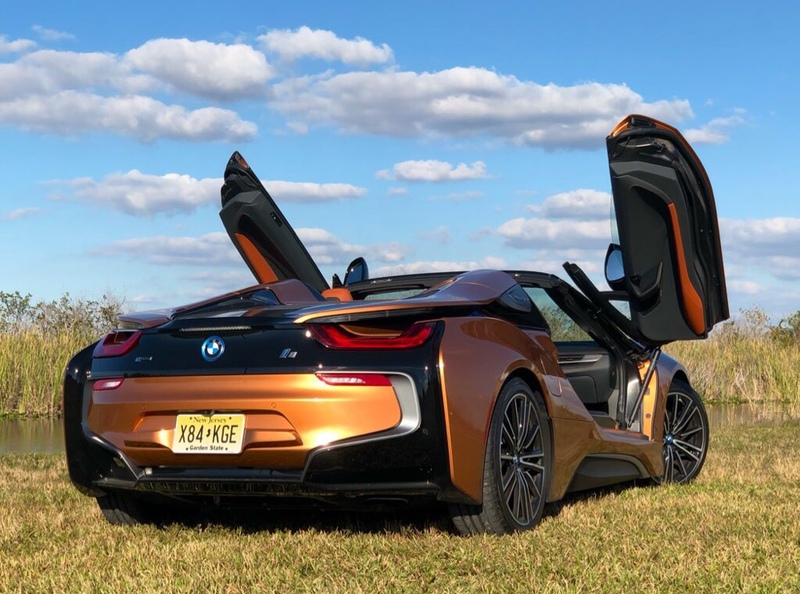 If you are looking for a flashy sports car that will turn just as many heads as a Lamborghini but have Germany reliability and be environmentally friendly, then the BMW i8 Roadster checks all of the boxes. Plus it is a car that will still impress your grand kids 30 years in the future. Contact your local dealer or visit BMWusa.com for more information. For young singles and couples looking for a versatile crossover on a budget, look no further. 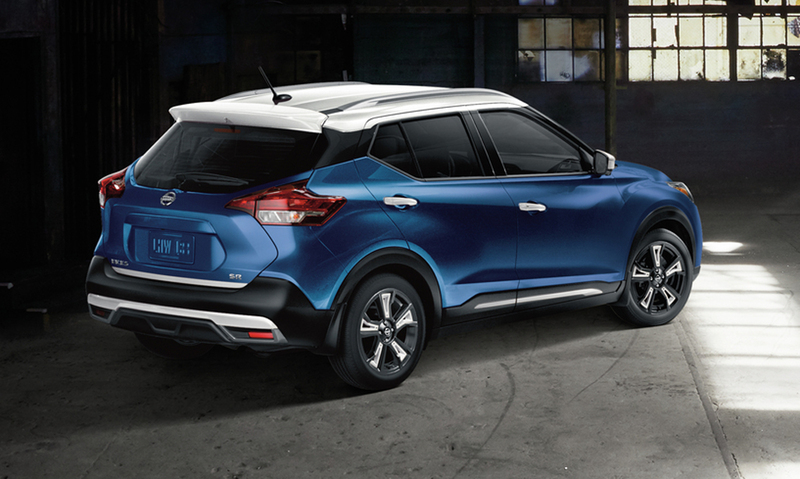 The 2019 Nissan Kicks should be on the top of your considerations list. When it comes to style, the Kick’s two-tone paint scheme got me more compliments than half of the sports cars I have driven this year. My test vehicle featured a blue body and white roof, which really makes it standout from the crowd. Alternative two-tone choices include orange + black, red + black, white + black, and silver + orange. Unlike Ford Mustang GT predecessors, the latest Mustang GT edition doesn’t have middle child syndrome. 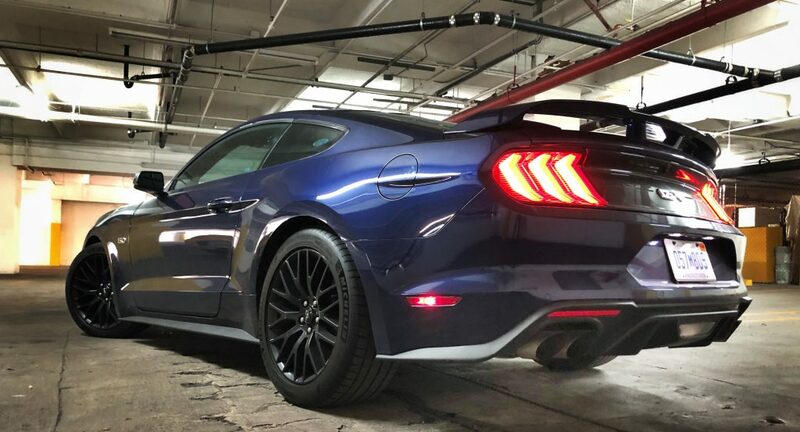 It is no longer simply “a more powerful Mustang, but not as cool as the Boss or Shelby.” The 2019 Mustang GT can now stand on its own. Yes, the powertrain on the Mustang GT has (almost) always been a true force to be reckoned with, but the newest model has visual and audible sensory cues that make it a special car in its own right. 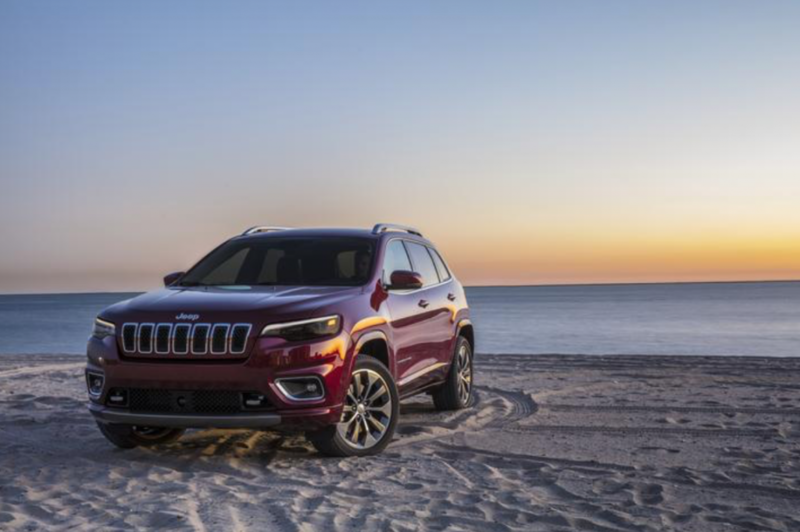 New for 2019 is the Overland trim level for the Jeep Cherokee. This unique set of options has been magically transforming the Jeep Grand Cherokee from a standard mid-size SUV to a luxury SUV for over 10 years, but now its baby brother has got the fancy pants. Upon approaching the vehicle, you will immediately notice a premium look. 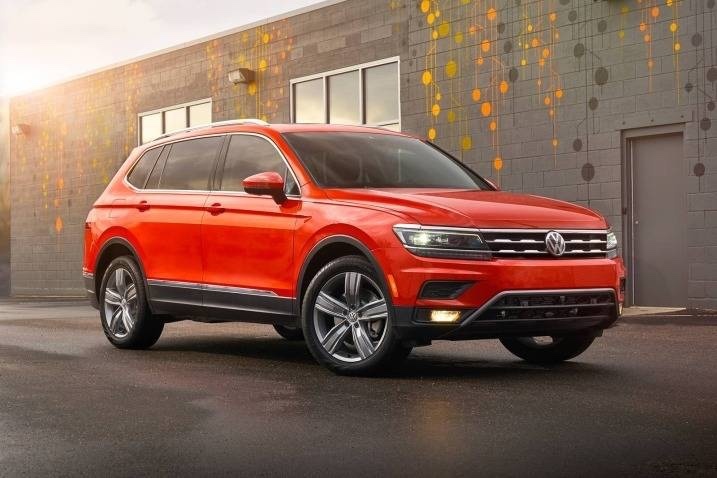 Gone are the plastic brush guard moldings in favor of body color paint to make the vehicle appear bigger. 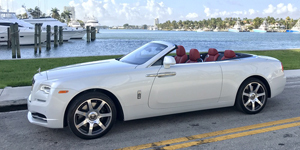 You will also notice large 19″ polished aluminum wheels. Inside the Jeep Cherokee Overland, you will find an interior fit for a small luxury SUV/crossover. In some cases, it is nicer than comparable Mercedes and BMW models. The Jeep Cherokee Overland is fitted with premium heated and cooled leather seats along with a full-leather dash; something you typically only find on vehicles with a $100k price tag. This type of luxury accentuates the oddity of not having leather on the doors though, instead you get hard plastic. I guess beggars can’t be choosers though, because the 2019 Jeep Cherokee Overland is priced incredibly well. My test vehicle came fully equipped at a hair over $40k. That may seem like a lot for Jeep, but when you consider that the Mercedes GLC starts at $40,700 without leather seats, a leather dash, or 4-wheel drive. 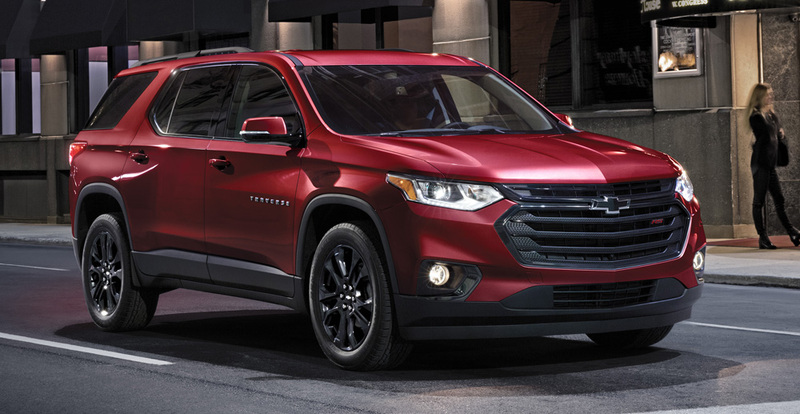 With the RS package on the Chevrolet Traverse, you get a noticeably different look and feel – My four year old self would call it a cool SUV now. All of the polished chromed accents are blacked out to give this mid-size SUV a stealth look. This includes the exterior trim, the grill, and the Chevrolet bowtie. You also get upgraded 20″ wheels painted black to complete the package. You also get black plastic lower moldings to protect the body of the vehicle should you take the Traverse RS off-roading. So while the Traverse RS doesn’t necessarily live up to the Rally Sport name, it is a worthy upgrade for those who want to feel sporty. I know that is I how I would order one! If you want to learn more about Traverse, check out my full review here. 2019 Mercedes CLS: It can’t come soon enough! 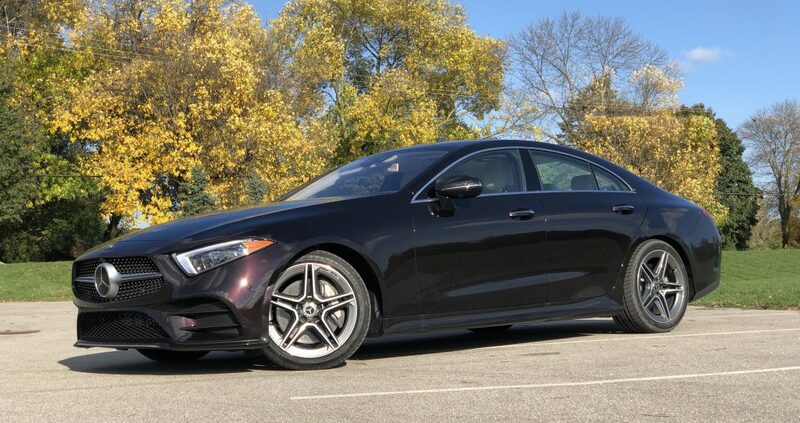 While visiting Chicago on vacation earlier this month, Mercedes gave me a pre-production version of their upcoming CLS four-door sports coupe to drive around town. The good news is that it is an absolutely stunning example of Mercedes design and a worthy update to the Mercedes CLS nameplate. The bad news is that you likely won’t be able to get one until next year… and I want one in my garage now! 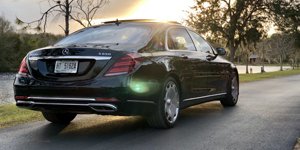 For Dad’s (or Mom’s) who need the utility of a four-door vehicle but don’t want to give up the emotion of driving sports coupe, the Mercedes CLS (and this segment) was born for you. Mercedes paratactically invented the “four door sports coupe” segment with CLS back in the early 2000’s. They were amongst the first to offer a luxury four-door sedan with a fastback like roof line and a limited b-pillar. Since then, brands like Audi and BMW have copied the style on their most sportiest family friendly models.